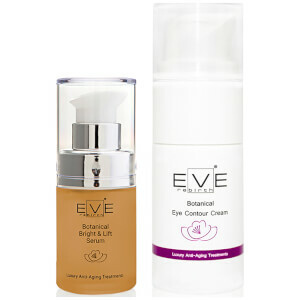 Treat your complexion to the Eve Rebirth Botanical Bright & Lift Serum and Botanical Eye Contour Cream. The duo work in tandem to restore youthful vitality whilst providing light-reflecting, anti-ageing and antioxidant benefits. A lightweight, quick-absorbing formula that works to improve skin tone and texture without greasy residue. Fortified with Organic Mullein and Olive Leaf Extracts, the innovative, anti-ageing serum provides antioxidant protection to deflect the harmful energy of UV rays, whilst its dose of Hyaluronic Acid delivers firming and plumping properties for a smoother, more refined complexion. 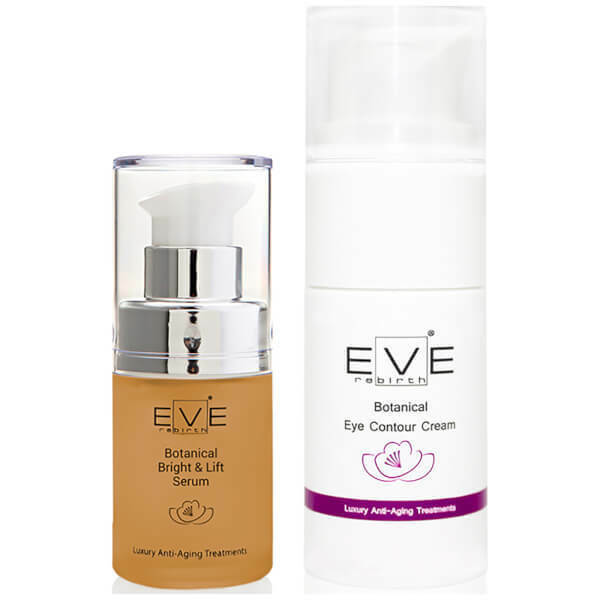 Skin is healthy-looking, hydrated and revitalised with revived radiance. Serum: Apply every morning and evening on the face and neck, thoroughly cleansed. Gently massage until completely absorbed. Serum: Aqua (Water), Echinacea Pallida Extract*, Malva Sylvestris Leaf Water*, Hydrolyzed Wheat Bran*, Glycerin, Sodium Hyaluronate, Hydrolyzed Verbascum Thapsus Flower*, Olea Europaea (Olive) Leaf Extract*, Achillea Millefolium Extract*, Calendula Officinalis Flower Extract*, Tilia Tomentosa Extract*, Lactobacillus Ferment, Citric Acid, Sodium Levulinate, Sodium Anisate, Sodium Phytate. *Biological Ingredient.